Pleasant Staff. Basic accomodations Staff workers were pleasant. Room has basic accomodations and is sufficient enough if you are doing other activities on the island. Nice basic hotel. Second time staying here. It's comfortable, quiet, clean and has nice staff. The rooms with lanai are pleasant to sit outside. Internet slow and no milk in the morning but otherwise very satisfactory. Large pool never seems crowded. The beach is very safe for young kids. The resort is Centrally located on the island. 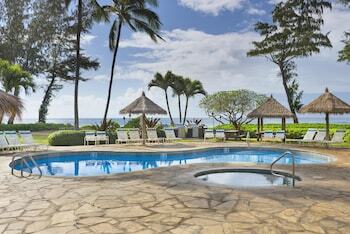 For the money it’s the best value on Kauai. My expectations were exceeded. This place is so great. The staff was incredibly helpful. You can check out beach equipment for free. The garden is beautiful, the flowers smell amazing. It's literally across the street from an awesome beach. I can say enough about this place. Like saving big bucks on travel? Are you an absolute master of saving money? 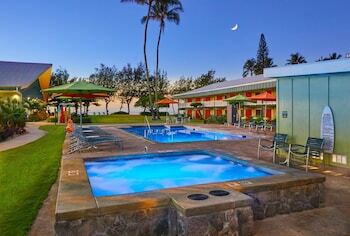 It's about time you got cheap and cheerful in Lihue! 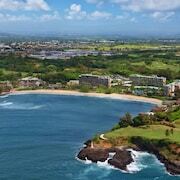 Lihue is around 4,900 miles to the northeast from Washington, United States of America's capital. 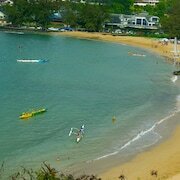 The population of this area of Kauai is roughly 6,000. Want to expand your brain without spending any money? The Grove Farm Museum doesn't charge entry fees and boasts a range of intriguing objects and exhibits. Art and culture don't have to break the bank! At the Kamokila Hawaiian Village you can choose from a range of free or cheap events — why not peruse the program and decide on your favorite? Whether you're looking for some outstanding sights to snap a getaway photo or you would just like a place to stop and have a look at your map, Ninini Point Lighthouse will fit the bill. This time-honored landmark costs nothing to admire, making it a great fit for tight-fisted history enthusiasts. If it's time you reconnected with Mother Nature, take your pick of Opaekaa Falls, Wailua Falls, Alekoko Fishpond and ʻOpaekaʻa Falls. They're a short drive away and superb day trips if you're a fan of spending time around the water. 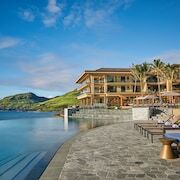 If you're eager to see attractions that won't leave a hole in your budget, Ahukini Recreation Pier State Park and the Kamokila Hawaiian Village should be on your hit list. CheapTickets will do the hard work for you — we love turning your affordable dreams into a reality. We're always money conscious, and we'll never make compromises on quality for accommodations, flights and breathtaking experiences. With 500 partner airlines and no less than 500,000 properties around the world, you can be sure that we can find the hottest deals on the market. But it doesn't stop there! When you combine your hotel and airfare bookings, you can save as much as $481. Go home with amazing value with our Price Guarantee. If you happen to find your package for a lower price within 48 hours, we'll match that deal and refund you the difference. How's this for a nice perk? Our simple rewards program not only takes precious dollars off your next eligible CheapTickets hotel stay, it also works in conjunction with our other promotions. The only thing you have to do is book those flights! Taking advantage of the CheapCash program couldn't be any simpler. Log in or sign up (for free! ), and you'll immediately qualify to save on eligible bookings, as well as being first in line for other amazing bonus offers and penny-pinching perks! 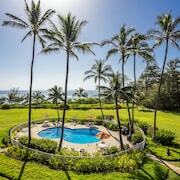 We know you're into cheap, so why not get a rental car in Lihue? It's not only an excellent way to get around, it'll save you precious money too. Picking up the car keys at Lihue Airport means you'll be off the runway and into the driver's seat in the blink of an eye. You'll stumble across Avis only a small walk away from the arrivals gate. Payless is another good choice. CheapTickets can help you find a red hot deal! 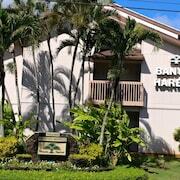 At the moment, there are 26 hotels in Lihue. Pick the amenities and perks to accommodate your cheaptastic style. Work, travel, save, repeat. 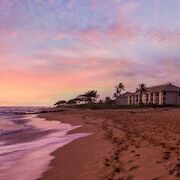 If you especially live for the "save" part, book a room at the Kauai Palms Hotel or the Tip Top Motel Cafe & Bakery, a couple of cheap and chic places to stay.